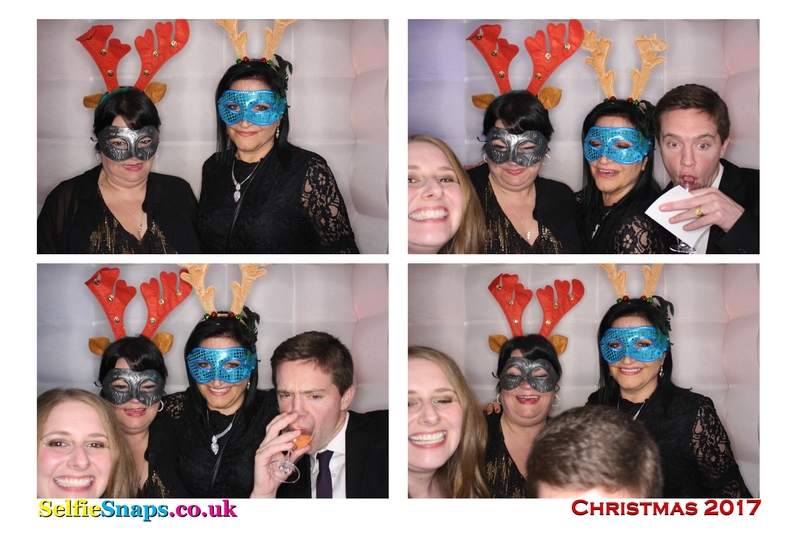 Our inflatable LED Photo Booth was in action along with our full range of xmas props on Saturday for the staff xmas party of ACS Hillingdon School, held at the Sheraton Skyline Heathrow Hotel. The Sheraton Skyline Heathrow Hotel at London Heathrow is a 4-star hotel located at Bath Road in Hayes / West Drayton Middlesex, near Heathrow Airport.] The hotel, built in 1971, is operated by the Sheraton hotel group and has 350 rooms. The hotel was purchased in 2015 by Qatar Airways, the first such hotel to be branded under the airline’s Oryx brand. The Sheraton Skyline Heathrow Hotel was built in 1971 by Curtis and Davies and designed by Ronald Fielding. The hotel is noted for its “atrium design”. The Sheraton Skyline Heathrow Hotel opened for business on 1 February 1973 with a single room price of ₤6 and double-rooms priced at ₤9. That same year the hotel formed part of a group called the London Heathrow Conference Service with most of the major hotels in the area, to specifically target business travelers and “become the business meeting centre of Europe”. The Skyline Hotel, along with Skyline Park Tower in Knightsbridge were developed by Capital & Counties. Skyline sold them to both to a Sheraton subsidiary for a combined £4 million in 1977. From the outset the hotel became known for hosting numerous international business conferences. On 9 March 1977, the “Transport of hazardous cargoes by air” conference was held at the hotel. During the 1970s, entertainment at the hotel included Diamond Lil’s Wild West Cabaret, which ran up to six nights a week, and the house band The Banjo Boys. In 1980 the Turkish Cypriot business community met at the hotel to discuss trade and investment between Turkey and the UK. In 1981, John Rotter was appointed controller of the Sheraton Management Corporation and controller of the Sheraton Skyline Heathrow Hotel. In 1988, Swedish property development consortium Reinhold Int bought the hotel for nearly £40 million. At the end of 1996, the hotel completed the Department of National Heritage’s certification in the Investors in People Program, which rates the performance of employers in the hospitality industry. The certification marks employers who have high training and incentive programs for employees in one of Britain’s fasted-growing employment sectors. The Sheraton Skyline Heathrow Hotel was one of the venues for the first four days of the Congress in London, held between 4 and 11 July 1997. For a period it was known as the Sheraton Skyline Hotel and Conference Centre.